I bought this player for USD180++. However, this player does not provide time alignment functions which allows you to adjust the time precisely when the music reach the listener(basically it is the driver seat). For the price of it this is a very good unit, and if you need a 13-band graphic analyzer, maybe you can consider unit like Pioneer DEHP-960MP ,or some Alpine CD player . 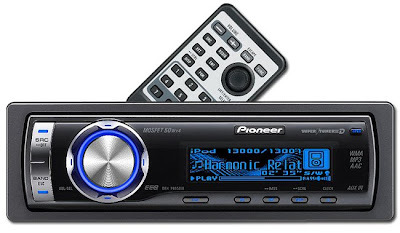 If you wish to see the different DISPLAY or ANIMATIONS this player can show, please follow Pioneer DEH-6950IB Display.